Today, anyone who possesses a camera phone is a digital photographer in his or her own right. However, in this digital photography article, we talk about digital photographers who use digital cameras to take pictures of professional quality and edit them too on a computer. Although digital photography is an exciting field that can be both well-paying and satisfying, the US Bureau of Labor Statistics (BLS) has predicted a decrease in the employment of photographers by six percent through 2016 to 2026. This is due to the increased use of digital cameras by novices for both personal and professional purposes, as also the increasing preference of companies in hiring freelance photographers, as compared to hiring salaried digital photographers. Qualification required: Digital photography is a lucrative career and many wannabe photographers are keen to take it up seriously as a profession. The best part is, you don’t need a formal education for entry-level positions. However, you will benefit from a degree or diploma in Bachelor of Fine Arts in Photography, since it will help in building your portfolio. You can also go in for associate degrees or vocational training. Skills required: First and foremost, you should be passionate about photography and comfortable with handling digital cameras, computers, photo editing software, and high-quality printing. You will also need to be well versed in promoting yourself through marketing, drafting contracts, submitting bids, preparing a business plan and maintaining financial records. You will up your career opportunities if you have a strong background in computers or electronics. Excellent talent and good work experience in this field are certain to attract the attention of your employers. Despite the negative picture being painted by BLS regarding the declining demand for photographers, a wide cross-section of industries still requires modern imaging technology, as well as traditional photographic expertise and equipment. This opens up a wide range of career opportunities in the field of digital photography. If you are wondering how much a photographer makes, the annual median earnings for salaried photographers, according to BLS is $32,490 as of May 2017. A digital photographer can choose from a variety of fields, as to what type of photographer he or she wants to be. One of the most popular jobs for photographers is to join the media and document people and events as photojournalists in newspapers, magazines and other publications. The news photographers are required to tell the stories either in images or accompany the pics with words. It is a challenging job where the photographer needs to be always on the go to cover local and national events. Commercial photography is one of the most lucrative careers in photography. These photographers specialize in promoting products and services of various companies and help them in marketing them. They are the ones who take amazing pictures of clients’ products, such as buildings of real estate owners, mouth-watering fare of hotels and restaurants, products of various industries, and the like. Portrait photographers capture the moment at various kinds of events, such as weddings, school and college reunions, etc. They either operate from their own studios or work on location. They are not only expected to be a skilled photographer, but also be able to handle other responsibilities as well, such as making appointments, processing images, framing photos, billing clients, etc. These photographers are required to document a variety of scientific subjects at both macro and micro levels. For this, they possess expertise in special imaging techniques. The images of bacteria or virus that you see in scientific journals and other publications is the handiwork of such photographers. They find employment with government agencies, universities and research facilities. Freelance photographers possess the acumen to develop their own photography business and the ability to draw clients. The one great benefit of it is that the freelancer is his or her boss and can land lucrative assignments that may earn much more than salaried photographers. Digital photography is an interesting profession that not only demands technical know-how, but creativity as well. 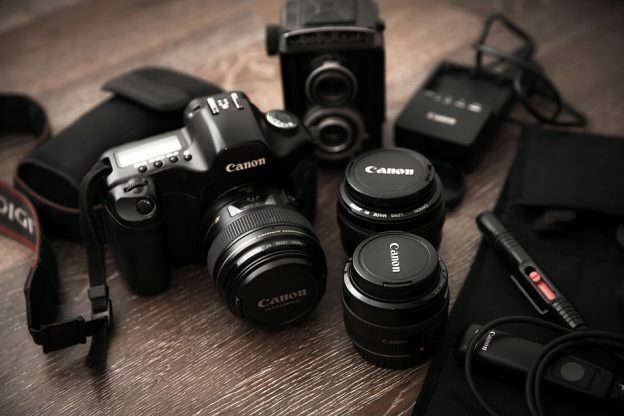 If you have these and are passionate about photography, there is no stopping you from landing a well-paying job.